This section covers facts about bankruptcy. We explore how to go bankrupt and what you need to do to apply. We look at what will happen to your home and all the effects of going bankrupt. What are your duties as a bankrupt? What are the restrictions on a bankrupt? Bankruptcy petitions are usually presented at the High Court in London or a county court near to where you trade or live. A petition can be presented against you even if you are not present in England or Wales at that time. This can happen when you normally live in, or within the previous 3 years have had residential or business connections with, England and Wales. If you want to make yourself bankrupt, you should contact a county court (unless you live or have traded in London, then you should contact the High Court). The address and telephone number of your local county court is listed under “Courts” in the telephone book: references here are to civil courts - the county courts - not magistrates’ courts. Staff at the county court will tell you the name, address and telephone number of the county court where you should present your petition. You will normally have to pay £180 as a court fee but in certain circumstances (for example, if you are on income support), the court may not ask you to pay this fee. However, you will have to pay £525 towards the cost of the administration of your bankruptcy by the Official Receiver. Sometimes government departments start bankruptcy proceedings in the High Court in London or in one of the District Registries. If you did not trade or do not live in the London area, your case will usually be transferred to the appropriate local county court and dealt with by the local Official Receiver, if a bankruptcy order is made. Who will deal with your bankruptcy? An Official Receiver is appointed by the Secretary of State and is an officer of the court. The Official Receiver has responsibility for administering your bankruptcy and protecting your assets from the date of the bankruptcy order. He or she will also act as trustee of your bankruptcy estate unless an insolvency practitioner is appointed.The Official Receiver is also responsible for looking into your financial affairs for the period before and during your bankruptcy. He or she may report to the court and has to report to your creditors. There will also be a need to report any matters which indicate that you may have committed criminal offences in connection with your bankruptcy.The Official Receiver will give notice of the bankruptcy order to local authorities, utility suppliers, courts, sheriffs, bailiffs, Premium Bond Office, Land Registry and any relevant professional bodies. Enquiries will also be made of banks, building societies, mortgage, pension and insurance companies, solicitors, landlords and any other persons or organisations who may be able to provide details of any assets or liabilities that you have, or have had, an interest in (either on your own or jointly with others). Third parties will also be asked about any other matters relating to your bankruptcy. Insolvency practitioners are individuals who specialise in insolvency work. An insolvency practitioner, who must be authorised, can be appointed trustee instead of the Official Receiver. He or she is then responsible for disposing of your assets and making payments to your creditors. You may also have to go to court and explain why you are in debt. If you do not co-operate, you could be arrested. court fines and other obligations arising under an order made in family proceedings or under a maintenance assessment made under the Child Support Act 1991. You will no longer control your assets. If you have a business, this will normally be closed and your employees dismissed. All these items must be disclosed to the Official Receiver who will then decide whether you can keep themThe Official Receiver/trustee will take control of all your other assets on the making of the bankruptcy order. He or she, or any insolvency practitioner who is appointed as trustee, will dispose of them and use the money to pay the fees, costs and expenses of the bankruptcy and then your creditors. The trustee may apply to the court for an order restoring property to him or her if you disposed of it in a way which was unfair to your creditors (for example, if before bankruptcy you had transferred property to a relative for less than its worth). The trustee may claim property which you obtain or which passes to you (for example, under a will) while you are bankrupt and may ask the court to order you to pay part of your wages, salary or other income to him or her if your income is more than you and your family need to live on while you are bankrupt. Student loans under the Education (Student Loans) Act 1990, which are made either before or after the start of a student’s bankruptcy, are not regarded as assets which may be claimed by the trustee (where a balance of the loan remains). In addition any money repayable under the terms of the loan is not regarded as a liability. The effect of this is that the administrators of the loans scheme are not regarded as creditors in the bankruptcy, so you are not released from repaying the outstanding portion of the loan when you become discharged from bankruptcy. Loans made under the Education (Student Support) Regulations 1999, following the Teaching and Higher Education Act 1998, are not regarded as assets which may be claimed by a trustee (as before). But money repayable under such a loan is a liability for bankruptcy purposes, so it is released when you become discharged from bankruptcy. Generally, your trustee will be able to claim any interest that you have in a life assurance policy. The trustee may be entitled to sell or surrender the policy and collect any proceeds on behalf of your creditors. If the life assurance policy is held in joint names, for instance with your husband or wife, that other person is likely to have an interest in the policy and should contact the trustee immediately to discuss how their interest in the policy should be dealt with. You may want the policy to be kept going. Ask your trustee: it may be possible for your interest to be transferred for an amount equivalent to the present value of that interest. If the life assurance policy has been legally charged to any person, for instance an endowment policy used as security for the mortgage on your home, the rights of the secured creditor will not be affected by the making of the bankruptcy order. But any remaining value in the policy may belong to your trustee. Any registration, licence or permission you hold in connection with your work or trade might be affected by the making of the bankruptcy order. You should inform the person who issued the registration or authority of your bankruptcy to establish if it will remain in force or will be cancelled or withdrawn. Any value attaching to these items may belong to the trustee. In considering this issue you should disregard items of a personal nature such as a driving licence. The Official Receiver will tell your creditors you are bankrupt. He or she may either act as the trustee or may arrange a meeting of creditors for them to choose an insolvency practitioner to be the trustee. This happens if you appear to have significant assets. You may have to go to this (or any other) meeting of your creditors. The trustee will tell the creditors how much money will be shared out in the bankruptcy. Creditors then have to make their formal claims. The costs of the bankruptcy proceedings are paid first from the money that is available. The costs include fees that the Official Receiver or the insolvency practitioner charge for administering your case. Creditors are then paid, together with interest on all debts, as far as there are funds available from the sale of your assets. If there is a surplus, it will be returned to you. You would then be able to apply to the court to have your bankruptcy ‘annulled’ (cancelled). If you own your home, whether freehold or leasehold, solely or jointly, mortgaged or otherwise, your interest in the home will form part of your estate which will be dealt with by your trustee. The home may have to be sold to go towards paying your debts. If your husband, wife or children are living with you, it may be possible for the sale in the bankruptcy to be put off until after the end of the first year of your bankruptcy. This gives time for other housing arrangements to be made. Your husband, wife, partner, a relative or friend may be able to buy your interest in your home from the trustee. Such a purchase would prevent a sale of the property by the trustee at a future date. Your spouse or any other interested party should be encouraged to take legal advice about the home as soon as possible. If the trustee cannot, for the time being, sell your home, he or she may obtain a charging order on your interest in it. If a charging order is obtained, your interest in the property will be returned to you, but the legal charge over your interest will remain. The amount covered by the legal charge will be the total sum owed in the bankruptcy (including the costs and money interest). This sum must be paid from your share of the proceeds when you sell the property. Until your interest in the home is sold, or until the trustee obtains a charging order over it, that interest will continue to belong to the trustee, including any increase in its value. Therefore, the benefit of any increase in value will go to the trustee to pay your debts, even if the home is sold some time after you have been discharged from bankruptcy: the increase in the benefit will not be yours. If you rent your home, the trustee will normally have no interest in it and therefore cannot sell it. However, if you do not comply with the terms of the tenancy agreement, the landlord may take action against you. In most cases the Official Receiver or your trustee will need to tell your landlord that you are bankrupt. You may not hold certain public offices. You may not hold office as a trustee of a charity or a pension fund.After the bankruptcy order, you may open a new bank or building society account but you should tell them you are bankrupt; they may impose conditions and limitations. You should ensure you do not obtain overdraft facilities without informing the bank that you are bankrupt or write cheques which are likely to be dishonoured. Tell your trustee about any money you have in the account which is more than you need for your reasonable living expenses. Your trustee can claim the surplus amounts to pay your creditors. Note: If you wish to resume trading, you should be aware of the need to register again for VAT if you meet the registration requirements. You should not continue to use your pre-bankruptcy VAT registration number. a) How long does bankruptcy last? Generally you will be automatically freed from bankruptcy (known as “discharged”) after 3 years. If your bankruptcy order refers to a “certificate of summary administration”, you will be discharged after 2 years - for details of summary administration, see section 18. You will also become free from bankruptcy immediately if the court annuls (cancels) the bankruptcy order; this would normally happen when your debts and the fees and expenses of the bankruptcy proceedings have been paid in full or the bankruptcy order should not have been made. On the other hand, if you have not carried out your duties under the bankruptcy proceedings, the Official Receiver may apply to the court for your discharge to be postponed. If the court agrees, your bankruptcy will only end when the suspension has been lifted and the time remaining on your bankruptcy period has run.You will not get an automatic discharge from bankruptcy if you have been an undischarged bankrupt at any time during the 15 years before the current bankruptcy (unless the previous bankruptcy has been annulled). If this applies to you, and you wish to obtain your discharge, you must ask the court. You may do this at any time after 5 years from the date of your current bankruptcy order. Even then the court may refuse or delay your discharge, or grant it conditionally on terms requiring you to make some payments out of your income. 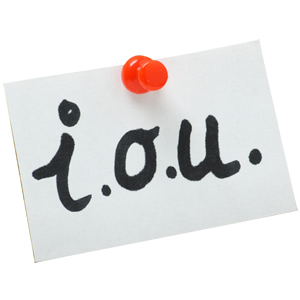 Discharge releases you from most of the debts you owed at the date of the bankruptcy order. Exceptions include fines, debts arising from fraud and any claims which cannot be made in the bankruptcy itself, including Student Loans. You will only be released from a liability to pay damages for personal injuries to any person if the court thinks fit.When you are discharged you can borrow money or carry on business without the restrictions previously referred to. You can act as a limited company director unless you are disqualified from doing so as a result of a separate order arising out of your involvement with a company. When you are discharged there may still be assets that you owned, either when your bankruptcy began, or which you obtained before your discharge, which the trustee has not yet dealt with. Examples of these may be the interest in your home, a pension or assurance policy or an interest in a will or trust fund. These assets are still controlled by the trustee who can deal with them at any time in the future. This may not be for a number of years after your discharge. These assets do not return to youWith some assets - such as your home and some types of assurance policy - your spouse, a partner, a relative or friend may want to buy your interest. He or she should get in touch with the trustee straightaway to find out how much they would have to pay.You must tell the Official Receiver about assets you obtain after the trustee has finished dealing with your case but before you are discharged. These assets could be claimed to pay your creditors. You have a duty to continue to assist your trustee after you have been discharged. prosecution if, when you incurred the debts, you did not disclose that you were bankrupt. You will not be entitled to an automatic discharge from a second bankruptcy if you have been an undischarged bankrupt at any time in the 15 years before the current bankruptcy.